2016 was still young, the Christmas tinsel barely packed up, before tennis found itself engulfed in a huge match-fixing scandal. In early January, documents passed to the BBC and Buzzfeed News by anonymous whistleblowers reported that 16 players, all of which had been ranked in the top 50 in the world, were strongly suspected of throwing matches. Among the names on the list were Grand Slam winners, and the tennis authorities’ failure to investigate the allegations prompted calls of a cover up. An investigation that had begun in 2007 found that betting syndicates in Russia, northern Italy, and Sicily had repeatedly made large sums of money betting on games that investigators suspected were corrupt. Three of these matches were at the Wimbledon Championships. According to the documents, 28 players in all were reported to tennis authorities for suspected involvement but no action had been taken. 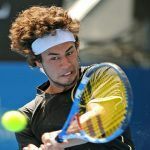 The revelations coincided with the Australian Open, and William Hill, the official betting partner of the tournament, was singled-out for criticism as local media called for tennis to cut its ties with bookmakers. William Hill pointed out that licensed, regulated bookmakers were not the cause of match-fixing. In fact, the industry acts as a watchdog, flagging up suspicious betting patterns to sports integrity bodies. 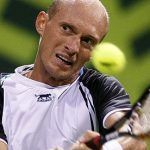 In March, bookies notified the Tennis Integrity Unit of 48 suspicious instances in the first quarter of the year alone, a 35 percent increase on the previous year. The results are alarming and may indeed indicate that tennis is in the midst of a match-fixing epidemic. While other sports have been under scrutiny too this year, such as soccer in Cyprus, rugby in Australia, and Olympic boxing, the whiff of suspicion has hung around tennis more consistently than any other. 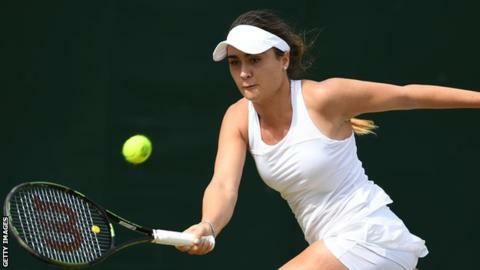 At Wimbledon, a police investigation was launched after British player Gabriella Taylor was struck down with a mysterious and ultimately life-threatening illness just 45 minutes into her match against the USA’s Kayla Day. Doctors eventually diagnosed a rare strain of Leptospirosis, a disease most commonly transmitted through rat urine, and so rare in the UK that police suspect she may have been the victim of a gambling syndicate. 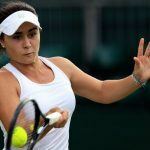 At the US Open in September, bookmakers once again flagged up suspicious betting patterns on a first round match between Switzerland’s Timea Bacsinszky’s and Russia’s Vitalia Diatchenko. The Tennis Integrity Unit, so roundly criticized for its inaction at the beginning of the year was investigating. “Under the Tennis Anti-Corruption Program, all players are considered innocent unless proven otherwise at an independent anti-corruption hearing,” said the organization.